Description: Velo bound booklet has light edge and corner wear; very light general surface soiling; title page has had the top corner clipped. no marks. 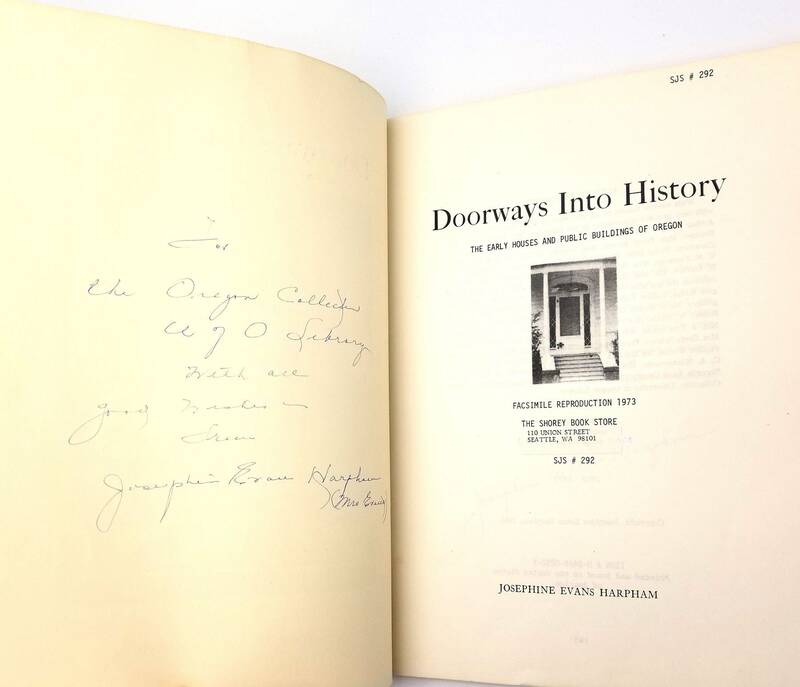 Inscribed to the Oregon Collection at the U of O Library (not a library book) and signed by the author on inside of front cover. Includes a five page list of the "Shorey Publication in Print" at the rear of the book. This is a Shorey facsimile reprint: a limited edition of 250 copies, first edition, July 1973. 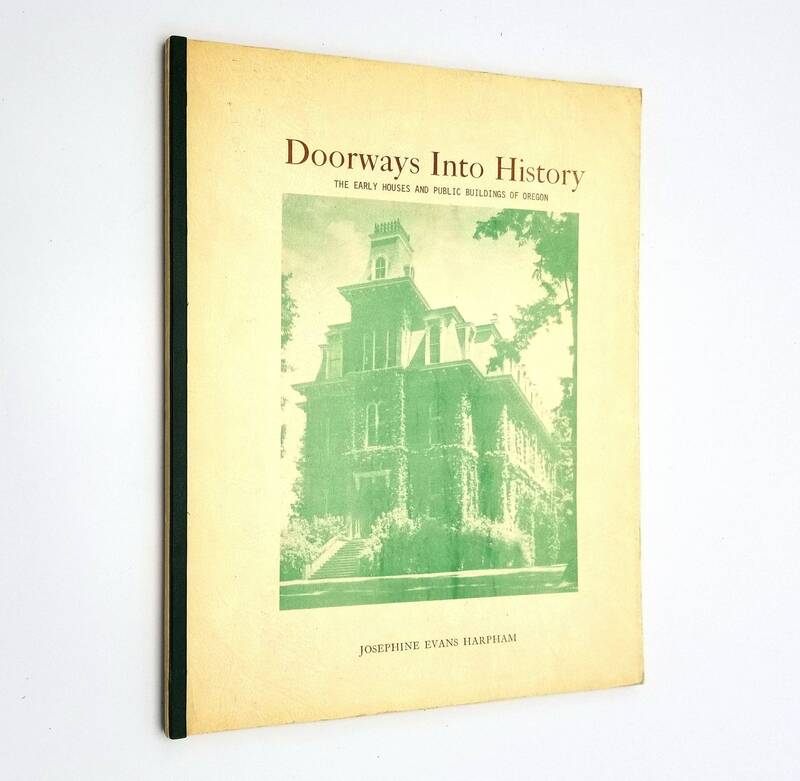 All of the structures covered in this history is located in Lane County with one exception. 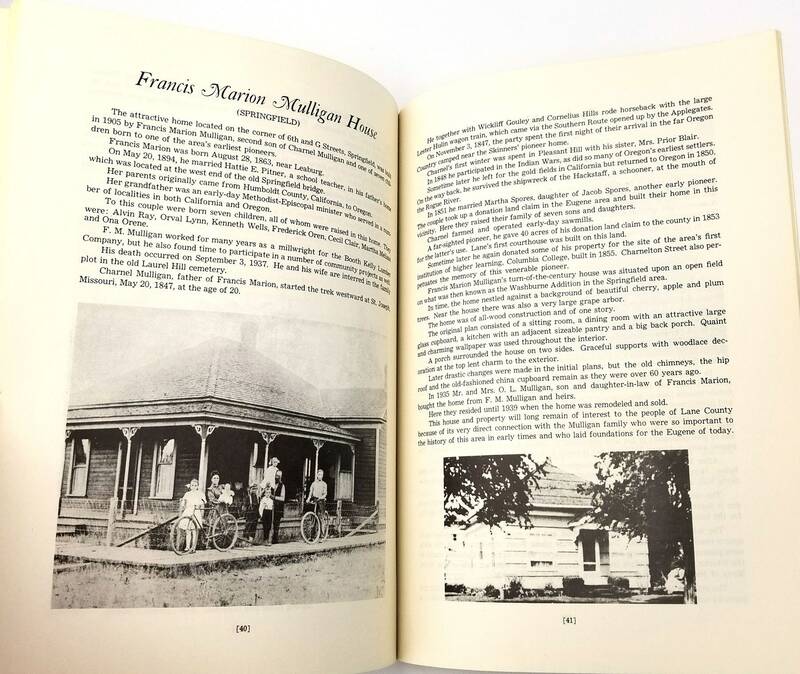 Each chapter features a photograph and a couple pages of history. 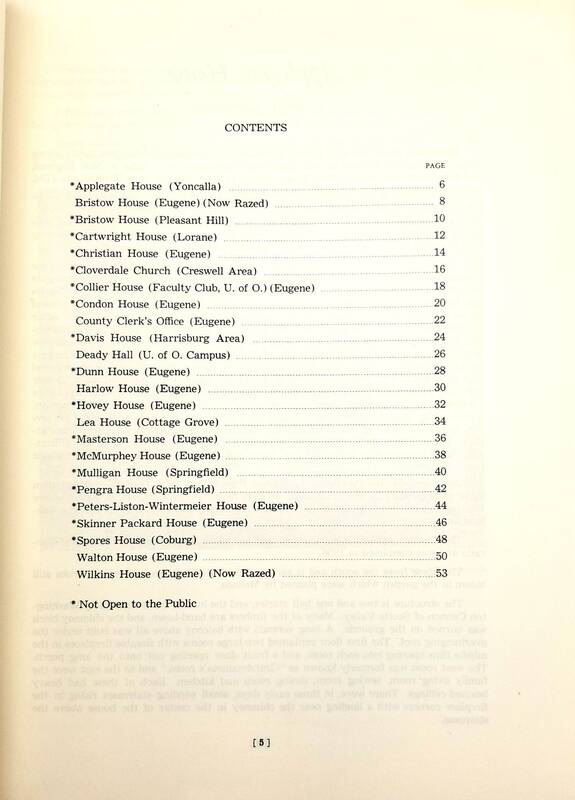 Contents: Applegate House (Yoncalla), Bristow House (Eugene), Bristow House (Pleasant Hill), Cartwright House (Lorane), Christian House (Eugene), Cloverdale Church (nr. Creswell), Collier House (University of Oregon), Condon House (Eugene), County Clerk's Office (Eugene), Davis House (nr. 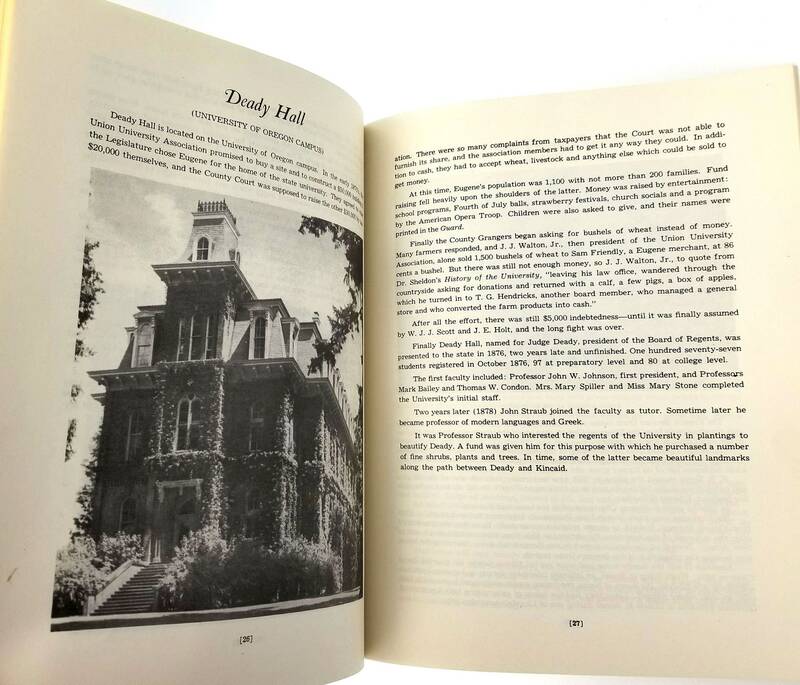 Harrisburg), Deady Hall (U of O), Dunn House (Eugene), Harlow House (Eugene), Hovey House (Eugene), Lea House (Cottage Grove), Masterson House (Eugene), McMurphey House (Eugene), Mulligan House (Springfield), Pengra House (Springfield), Peters-Liston-Wintermeier House (Eugene), Skinner Packard House (Eugene), Spores House (Coburg), Walton House (Eugene), and Wilkins House (Eugene). Size: 8.25 x 10.75 inches.